Q. What does 'Check shelves' mean? 'Check shelves' means that the book is available on the shelf and can be borrowed. In the example, the Campbelltown copy is available on the shelf in the library at the call number 658 614 . 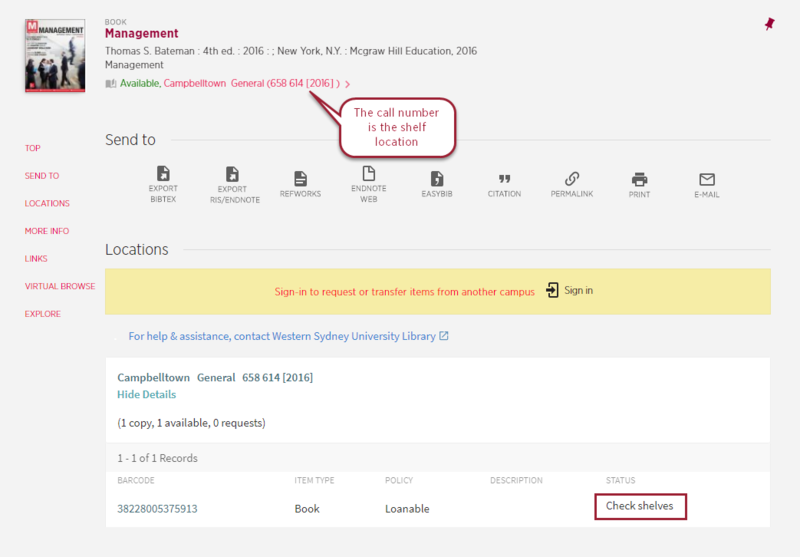 If you need assistance locating books please ask Library staff.